Offering direct access to the beach, this Pekutatan hotel is 2.8 mi (4.4 km) from Medewi Beach and 6.5 mi (10.5 km) from Pengeragoan Beach. This Pekutatan guesthouse is on the beach, 0.1 mi (0.1 km) from Medewi Beach, and within 12 mi (20 km) of Pengeragoan Beach and Jembrana Beach. Balian Beach and Soka Beach are also within 20 mi (32 km). 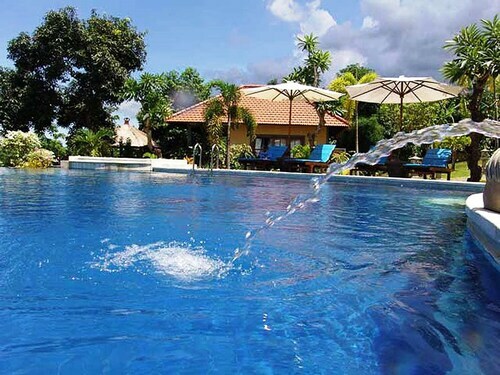 Situated near the beach, this hotel is 0.1 mi (0.1 km) from Medewi Beach and 8.7 mi (14 km) from Pengeragoan Beach. 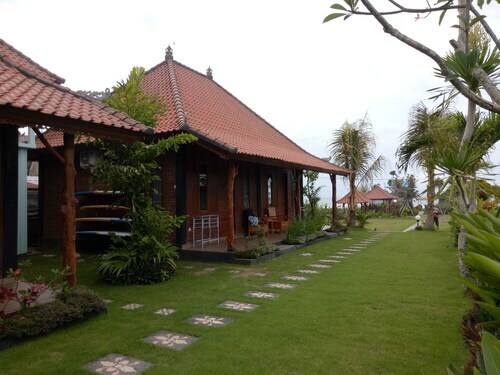 Situated in Pekutatan, this bed & breakfast is 0.1 mi (0.1 km) from Medewi Beach and within 12 mi (20 km) of Pengeragoan Beach and Jembrana Beach. Balian Beach and Perancak Temple are also within 20 mi (32 km). 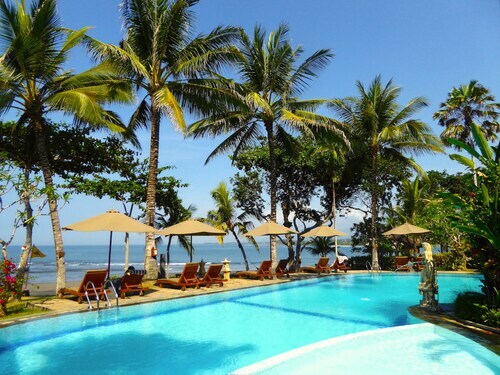 Nestled on the beach, this Pekutatan resort is 2.3 mi (3.7 km) from Medewi Beach and 18 mi (28.9 km) from Perancak Temple. Planning a few nights away in Pekutatan? There are just 2 options within 5 kilometres of the city centre. Book a room near the main hotspots at the Kelapa Retreat & Spa and Medewi Bay Retreat. 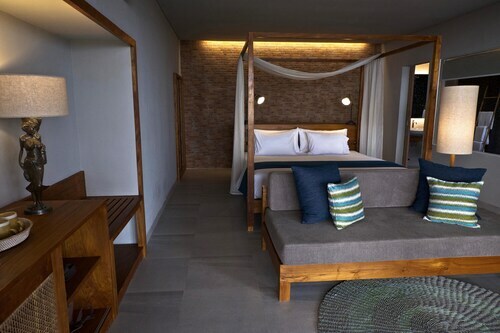 For more options, try out the Alila Villas Soori and the Ametis Villas. They are located 30 kilometres and 40 kilometres respectively from the center. 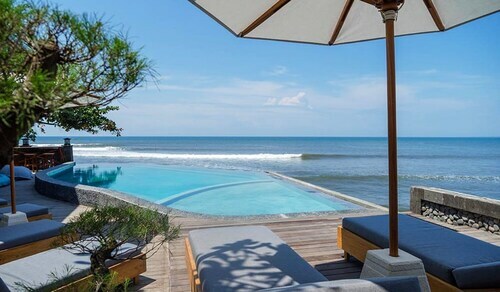 Wotif also suggests the Matahari Beach Resort & Spa and the Hotel Tugu Bali. The first is 35 kilometres away from town, while the other is 40 kilometres away. If you want to explore some close by localities, think about Selemadeg and Tegal Mengkeb. Head 18 kilometres to the east of Pekutatan and you'll locate Selemadeg. Alternatively, Tegal Mengkeb is 25 kilometres to the southeast. 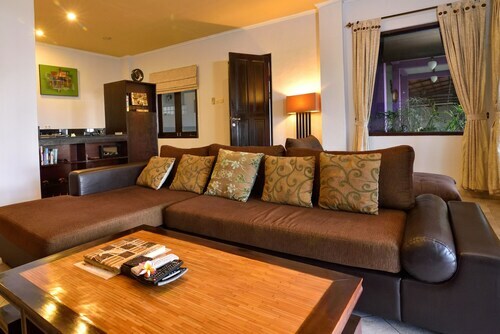 Hotels in Selemadeg are the Cempaka Belimbing Villas and Bali Lush. Tegal Mengkeb choices include the Sahaja Sawah Villa Retreat & Spa and Soka Indah Restaurant & Bungalows. Ngurah Rai International Airport is the nearest preferred airport, and is located 50 kilometres away from the centre of Pekutatan. 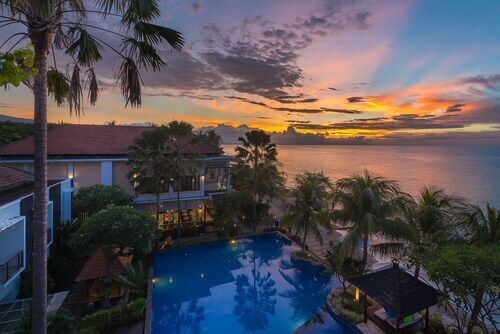 Hotels that are nearby are the Four Seasons Resort Bali at Jimbaran Bay and the Temple Hill Residence Villa. How Much is a Hotel Room in Pekutatan? Hotels in Pekutatan start at AU$37 per night. Prices and availability subject to change. Additional terms may apply. What an absolute hidden gem in the North of Bali. Set high on a hill with views that stretch as far as the eyes can see. We had the pleasure of staying 2 wonderful nights. The staff are welcoming, attentive and friendly. Bedroom and lounge separate, both very large. Clean, complimentary bug spray in the room, friendly and helpful staff. Great value !